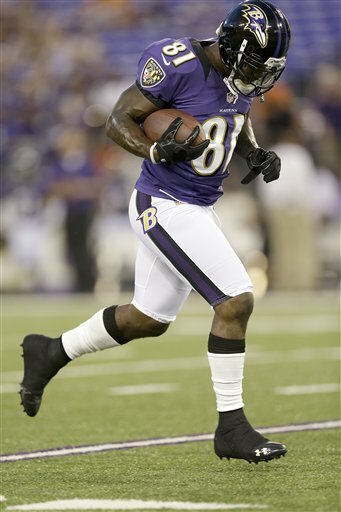 Boldin looks healthy and ready for another good game. Welcome to week two of the NFL Regular Season. Before each game Baltimore Gridiron Report will take a look at the various Ravens players poised to make a significant fantasy impact and provide analysis based on current trends and matchups. Joe was every bit the QB I expected him to be on Monday night. He played with precision and poise, delivering every throw on a rope to his receivers. Although true there were one or two passes that should have resulted in INT’s, Joe came out with one of his highest QB Ratings ever. Joe played well during his last foray at Lincoln Financial Field. He posted Two TD’s and 183 yards of offense (which belies the drubbing the Ravens landed upon the hapless Eagles), and I don’t expect any different from him on Sunday. Not exactly a quiet night out of Ray Rice (two TD’s after all) but his lack of carries had many slightly worried about Rice’s future in the Ravens new look no huddle offense. Additionally with Joe throwing daggers out on the field, there was less need for Rice’s dump off reception abilities. Ray has faced the Eagles only once in his young career and he certainly didn’t wow anyone during the match-up. I expect that to change this week and for Rice to have a bigger game with more rushing attempts. Trying to predict tight end production from the Ravens is like trying to predict the weather, it just isn’t very reliable. One week it’s Pitta, the next it’s Dickson. Cam Cameron loves two TE sets and has been exploiting them to great effect. Sound familiar? 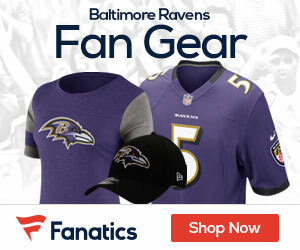 Dickson was the hot hand Monday night and showed with extreme prejudice that he and Flacco have a real connection. He was the leading producer for the Ravens offense, and given what we all saw, there’s no reason to expect that to change. If you don’t have him and need a TE go get him. With Joe having seemingly found his ability to stretch the field and hit all receivers no matter where they are, Boldin is likely to emerge as the primary possession threat. This will likely mean increased TD’s but fewer big yardage games. Case in point Monday night. I expect more of the same from Q, especially as the Ravens look to stretch the corners deep and exploit the linebackers over the middle. Take out Torrey’s big opening play of 52 yards and the speedster had a quiet night. His big play a bility notwithstanding, the one thing fantasy owners won’t want to hear is feast or famine with the big wide out. To be a fantasy option his receptions will have to be more consistent and that has yet to be seen with this Ravens offense. I like Torrey to have a similar day against Philly. Laquan Williams, Tandon Doss and Jacoby Jones round out the primary WR bullpen for the Ravens. Until you see what each brings to the table there is no legitimate reason to start any of them. Jacoby Jones should and could be a solid fantasy threat, but his performance on Monday night must be duplicated before it can be trusted. The boy can kick. But until the pressure is on, No one knows. He’s a solid start but there are better options. Although the struggled early to contain the Law Firm of Benjarvus Green-Ellis, the Ravens defense was absolutely rock solid fantasy wise. They gave up a palty 13 points and managed an INT, a FF 4 sacks and a TD. A great night. Vick threw 4 picks last week against the Browns. I like the Ravens defense to continue its path of dominance.